Rajasthan Royals also agreed to the JMC’s condition that the match will start with a pledge for sanitation campaign. Jaipur Municipal Corporation (JMC). File Photo. 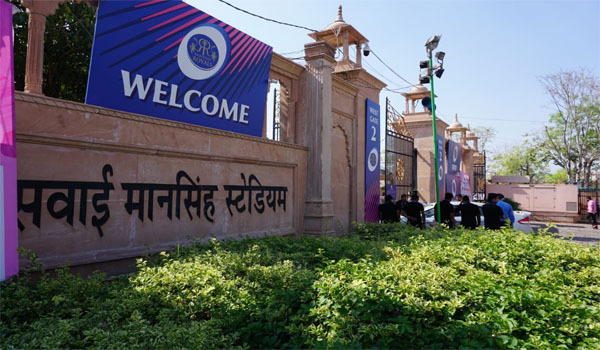 Jaipur: The ongoing controversy between Rajasthan Royals and JMC over fire NOC ended on Tuesday night. JMC agreed to provide all the logistic support and FIR fighting assistance in exchange for Rajasthan Royals players becoming brand ambassadors for various public welfare campaigns of the Rajasthan government and JMC. Rajasthan Royals also agreed to the JMC’s condition that the match will start with a pledge for sanitation campaign. After Rajasthan Royals agreed to these conditions, JMC said that it would provide FIR NOC. The controversy has been raging between Rajasthan Royals and JMC for the past three days. A meeting took place in presence of the chief secretary. JMC officials told the chief secretary that the civic body will have to suffer a financial burden of Rs 1.56 crore for providing logistic assistance for the matches. “IPL is being organized after a gap of four years, but it’s a commercial event. So according to rules, Rajasthan Royals have to bear the financial burden,” said Jaipur Mayor Ashok Lahoti. JMC will depute 100 fire fighters. IPL organizers will pay Rs 1,000 per firefighting employee. The IPL match will be organized at SMS stadium in Jaipur on Wednesday. Nearly 25,000 fans will cheer their team at the stadium. The match will be played between Rajasthan Royals and Delhi Daredevils. A group of students staged demonstration at SMS Stadium as the organizers have not provided any discount on tickets for students.